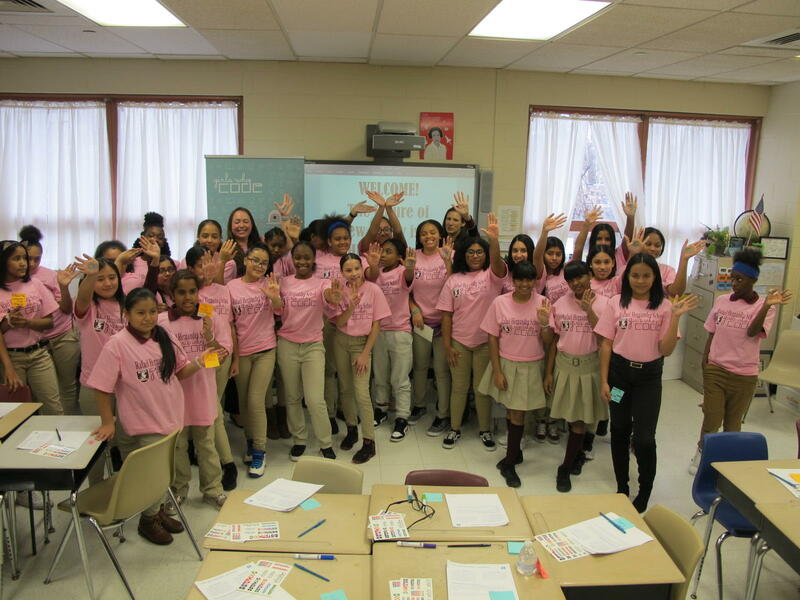 Girls an Newark's Rafael Hernandez School participate in first coding class as part of an expended partnership between the district and non-profit Girls Who Code. A pilot program that teaches girls how to code is expanding across the Newark Public Schools in the hopes of engaging more girls in the fields of science and technology, which have largely and historically been dominated by males. WBGO's Alexandra Hill reports the district is enlisting the help of international non-profit organization Girls Who Code in order to do so.